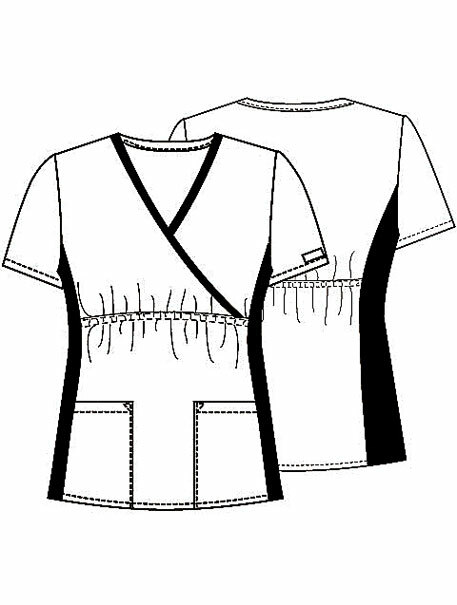 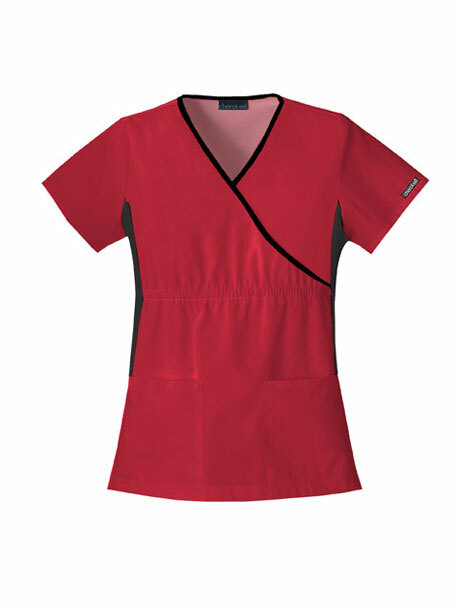 A mock wrap top features flattering and comfortable contrast knit side panels and two front patch pockets. 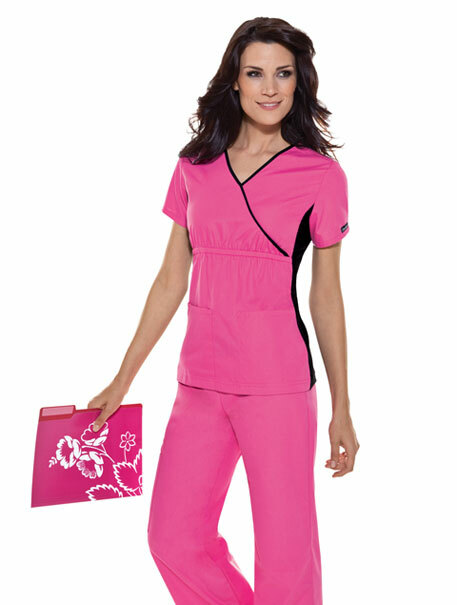 Empire waist with front and back elastic for shaping updates this style. 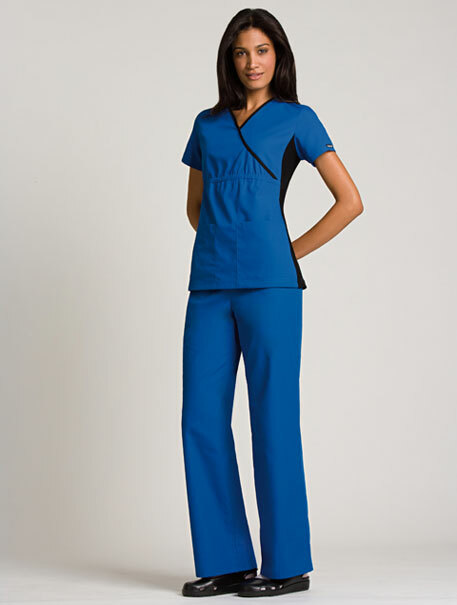 Center back length: 26"
Inseam Regular: 30", Petite: 27.5", Tall: 32"